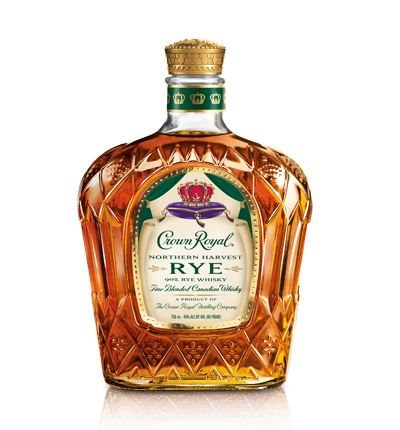 This entry was posted in Tasting Notes and tagged Crown Royal by Jim. Bookmark the permalink. Enjoying the articles… keep it up. I’m sure the rye is a very nice whiskey, but I settled on Scotch as my drink long ago. Life’s too short not to drink what I love. That might make me a one-dimensional miserable excuse for a human being, but I can live with that! It was a good review, by the way. You should be whatever type of miserable excuse for a human being that you want… it’s your life, live it! I’m from Canada (Toronto) and I had “noticed” this bottle in my local liquor stores for the better part of the late summer. Being Canadian, I typically look past most Canadian whiskeys (whiskys? Crap, I can never remember). Needless to say, before the middle of November if you wanted to get a bottle of Northern Harvest there were plenty to be found. As soon as Mr. Murray made his announcement this bottle was almost impossible to find. 1000’s of bottles were scooped up and all orders being brought into the liquor stores had lineups (no lie) waiting for them to open up the cases. They never even got to the shelves. However, in the last few weeks I was able to track a couple of bottles down only because I wanted to see what the hype was about. And for the price tag, it seemed worth putting a little effort into it. I used to drink regular Crown Royal in my university days. It was good, but since I’ve gained an appreciation for all things whiskey a few years ago, I hadn’t thought of it in the same light. I was happy to reunite with it, even if it was a different expression. Thoughts? For $30.00 you can do MUCH worse. It’s actually pretty good to tell you the truth. If it was $50.00, I may not think as highly of it, but it would still be worth it. I agree with Jim here, a little spicy, but still a good dram. 97.5 out of 100? I can’t see how anybody with any kind of rating system could give it that. But high 80’s wouldn’t be a far fetch. Mr. Murray needs to sell books. What better way than to be controversial. If anything he has shun a light on Canadian whiskey, which for me, is not a bad thing. Two more recommendations from the Great White North if you can find them: Lot 40 (interesting enough there was an advertisement for this in my latest copy of Whisky Advocate) and Stillwater Distillery’s Stalk and Barrel. I’d put them up there against many single malt scotches. Sorry I was so brief. I am yet to taste this whisky. I managed to grab one in the midst of the rage and demand for this whisky in the Canadian stores that are now sold out till the new year . Very nice review Jim. I guess I will buy a bottle and see what the hype is all about. It goes for around 26 in this area, so not a big outlay of cash. Will use it for Manhattans or Old Fashions if nothing else. It works very well in cocktails so you won’t be disappointed if it ends up being just that. You are correct Jim, had this man named the 2015 Cairdeas as Whiskey of the year I would have thought “okay, sounds reasonable” as this is a excellent batch. Only problem would have been that this was gone off the shelves everywhere without any major hype in North America and from what I have heard was only available at the Laphroig Distillery and by Lottery in the UK. I believe he had scored the 2015 WLW 2nd which I was lucky to obtain through a lottery. Cannot sell books about unattainable Whisky I guess. I picked up a bottle because of your listing and the award. I keep a bourbon or two around sometimes, and enjoy a Makers’, Wild Turkey, or Dickel on the rocks or as a mixer, and might enjoy a wee dram of Blanton’s from time to time. While I can’t list the CR NHR as high on my list as, say, a Bunnahabhain or a Glenfarclas, it is a very nice whisky. I think your tasting notes are spot on here. After the disappointment over Templeton, and a dalliance with Wild Turkey Rye (which I like), I figure that CR can be my rye for a while. It’s nicely affordable and pleasant on the rocks. A decent finish on that one, too.